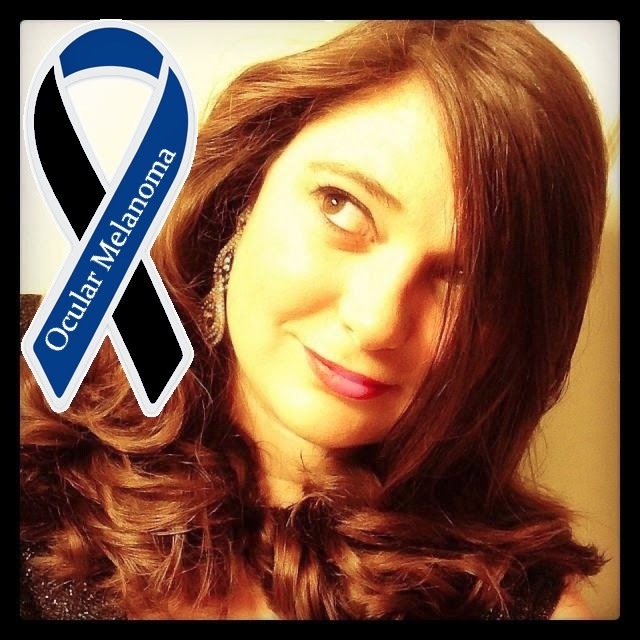 Join Me In The Fight Against Ocular Melanoma! Educate yourself and go get checked! 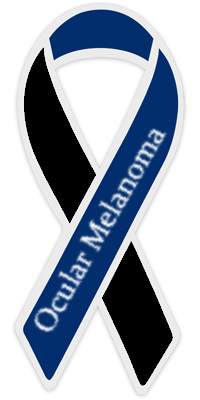 May is Melanoma and Skin Cancer Awareness month. A little over a year ago my Mom found out she had Ocular Melanoma a rare cancer of the eye. She woke up one morning and noticed that the room seemed dim and her sight was off. If she had not gone to the eye doctor right away I'm not sure she would be with us right now. Before that day I had no idea what Ocular Melanoma was. Ocular Melanoma, to put it very plainly, is a cancerous freckle on the eye. It is a rare eye cancer and only 2,000 adults are diagnosed with it every year. All through the month of May I will have the Black & Blue Ribbon on my profile on my social media profiles in honor of my Mom. Follow me on Twitter (@iEllie), and look for posts with the #OMAware for facts about Ocular Melanoma and how to detect it. I hope you will take the time to learn more about Ocular Melanoma Foundation and schedule an appointment with an eye doctor. Even if you don't need glasses it doesn't hurt to get checked. If you would like to add the ribbon to your profile picture you can use the one below.